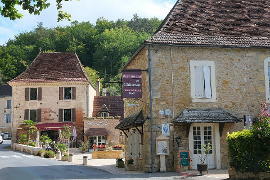 Up to a million visitors per year (to this village of 900 inhabitants) ensure that Les Eyzies is often rather busy. 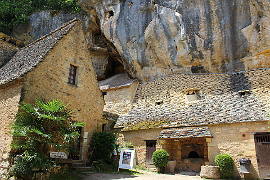 Les Eyzies is in the heart of the Vezere Valley and surrounded by many, many caves and prehistoric drawings and remnants - including some of the most beautiful to be seen in Europe - and other prehistoric attractions. 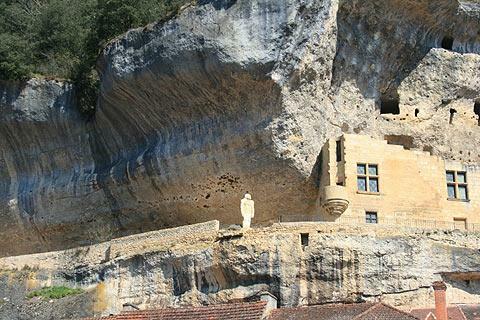 Indeed, the cave-lined Vézère valley has been classified as a heritage site by UNESCO. It was near to Les Eyzies that CroMagnon man was discovered (the three skeletons were discovered at the end of the 19th century, as well as the cave paintings at Font de Gaume, one of the last prehistoric cave-painting sites that is still open to the public. 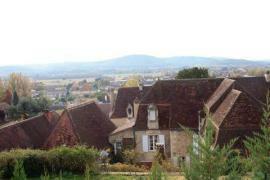 Les Eyzies really is at the centre of a very beautiful area, with the many cliff and rock formations, and surrounded by rivers, hills and tranquil countryside. It is also home to the National Prehistory Museum which houses one of the world’s most complete collections of prehistoric artifacts. As well as the excellent Prehistory Museum the International Centre or Prehistory is just down the road and provides a wealth of information and displays about prehistoric times. 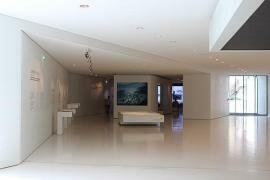 It is free to visit too! Also just a couple of hundred metres from the National Prehistory museum is Abri Pataud, a cro-magnon shelter dating back almost 40,000 years. Visitors now frequently use the town as a base for exploring the region. The town itself lies mostly along a main street with the cliffs looming up above the village. The houses and shops are a pleasant mix of stone and collombage (half-timber) and have a reasonable number of bars and restaurants for anyone planning to visit or use the town as a base for visiting the area. Walk up above the main road to see the houses above which are built into the cliff. 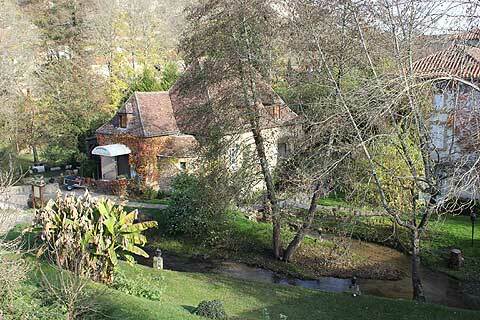 Take a walk also behind the main road to the river where there are some charming houses built along the river edge. 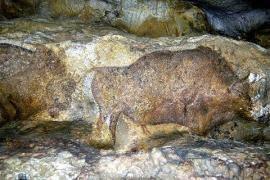 There are numerous caves to visit in and around Les Eyzies, plus a number of prehistoric parks (perhaps more for the children...) for a glimpse of what life was really like in the Dordogne 10,000 years ago. 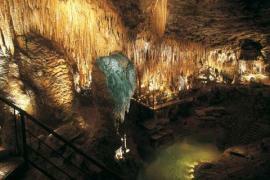 The caves of Font de Gaume, Lascaux and the Grotte du Grand-Roc are amongst the most important of the nearby caves. 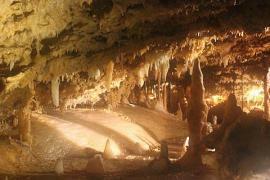 See Les Eyzies caves for more details of the more important caves and prehistoric settlements. Take a look at our 1-day guide for the key things to do around Les Eyzies.